If you’re sometimes wondering whether a word is a verb, an adverb or even a preposition, then you’re not alone. 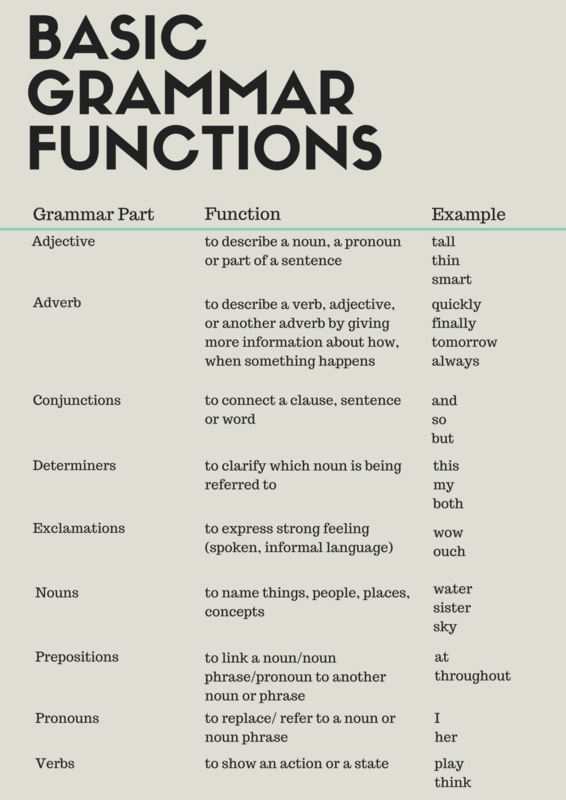 Many of us learn English grammar without knowing what these basic parts of English are. We skip ahead to learning the tenses, then when the teacher asks us where is the adjective in this sentence, we feel completely lost! Delving deeper into learning more about these parts of grammar, what they are and how they function can be the key to going further in your language learning. E-planet Educational Services has a quick, handy guide below that hopefully will uncover some mysteries of the English language. We hope you liked learning English grammar with us. Why not tell us in the comments below? Don’t forget to credit us if you are sharing this image. If you liked this you might also like to read: Learn English: Prepositions of Time. No problem, we hope it helps you.